I’m waiting patiently for gobbling turkeys and caddis flies here in Colorado as the snows continue to fall on my Sangre de Cristo Mountains. Six inches this morning matter of fact. The greenbacks are under several feet of snow…however, it won’t be long ’til I’m tossing dries to my favorite natives, but until then I’ve been reminiscing on my days spent in Idaho with birds & dogs. 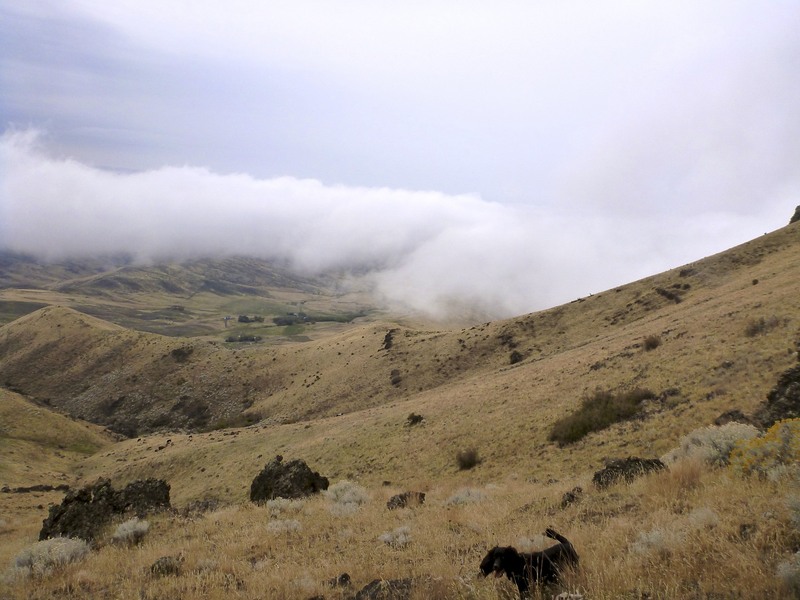 Idaho last October 2011 was unseasonably warm and dry. Chukars were still way up in the rim-rock country Idaho is infamous for. The previous day was spent with my brother, Scott, chasing valley quail, pheasants and huns. 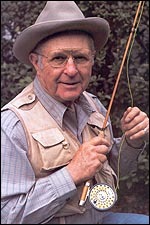 What a unbelievable day with the coveys caught out in the sagebrush hillsides. 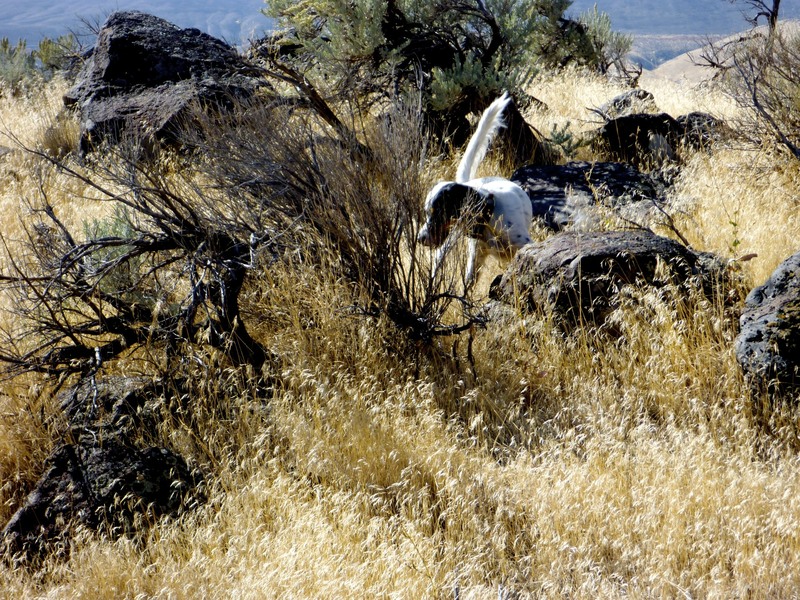 My cover setterdog Gretchen and Gary Thompson’s long-legged GSP Pepper had over 50 staunch points on valley quail. Scott and I were lured by the Siren’s call 2000 vertical feet to get to Lucifer’s birds that morning. The first covey Scott came upon were scurrying in front of him causing a salivary response like Pavlov’s dogs tempting a ground sluicing…but Scott heartily adores these devil birds, and they roared off the ridge top unscathed to the valley below where we’d just clawed our way from. The next bevy we saw was flushed by a menacing bird of prey. Scott and I climbed higher and higher and were surrounded by cantankerous chukars until the storm rolled in. Nothing like being vertical on talus slopes when it’s a whiteout…specially without skis. 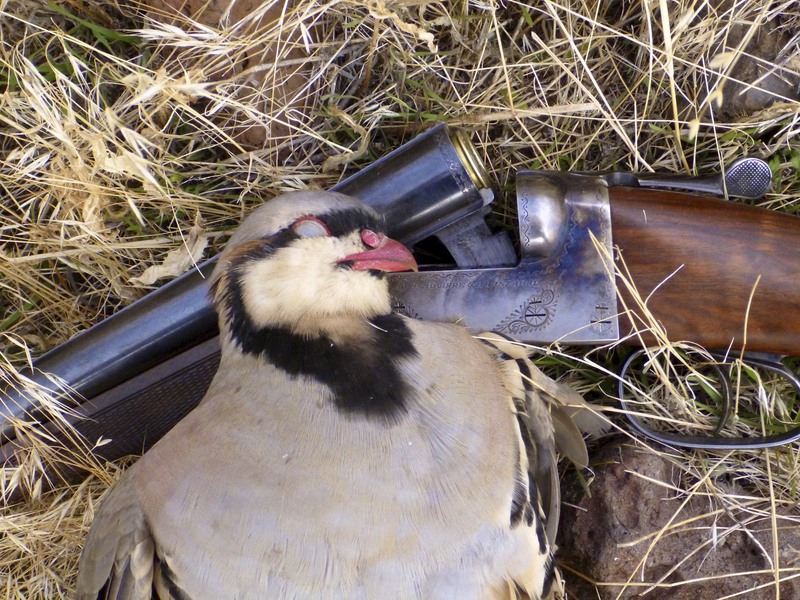 It’s been said many times that a person hunts chukars once for the challenge and from thereafter for revenge. I can’t wait to even the score! Recently Pat Wray (author of A Chukar Hunter’s Companion) sent me an email informing me of his new Chukar Hunter’s website and forum. Pat’s been chasing these birds for many years and has a wealth of chukar knowledge to share. 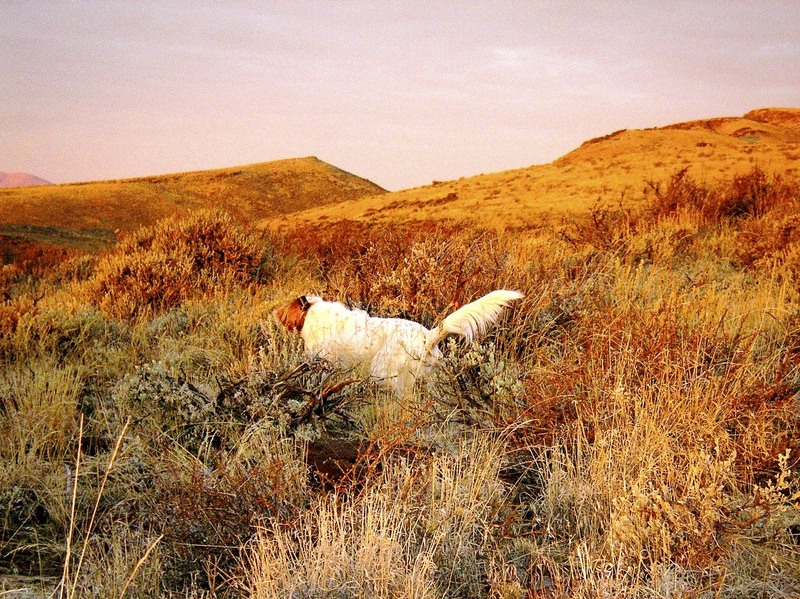 Anyone one interested in wild chukar hunting should stop in and visit Pat’s site. Another excellent chukar forum site is Upland Idaho. Enjoy the Spring weather and let’s count the days until we’re back in the uplands with our birddogs and smooth bores.